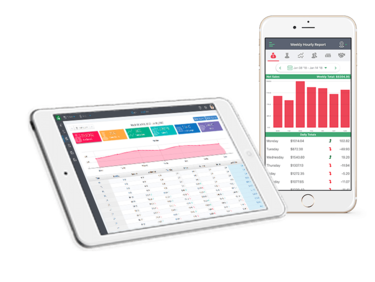 Our charts and graphs make it easy to follow trends and patterns affecting your restaurant. Instead of scrambling to resolve issues, anticipate problems before they occur. With your POS data just a click away, you'll be strategizing in no time with accurate information to guide you. Thousands of bars choose Zip POS Dashboard to keep records of each shift. 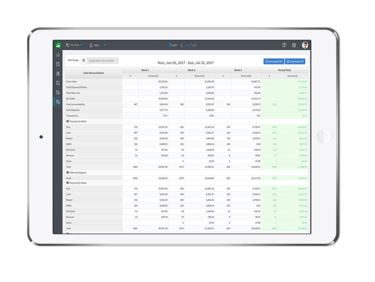 Whether you want to track your net sales or sales per hour, Zip POS Dashboard has the tools you need to generate meaningful reports. Watch every dollar and track every transaction so no financial mishap occurs. Our platforms allows you to analyze the key figures that impact your business the most. Stop wondering about what went wrong. Access data immediately and track every incident so it doesn't happen again. Our software outlines key trends and patterns for you so you can easily visualize what works and what doesn't. Pinpoint strategies to duplicate so that every month yields progress. Evaluate data from every day, month and year to see which season produced the most favorable results. Keep track of each effort as your sales strategy evolves. Zip POS Dashboard makes it easy to search, sort, filter and store your data. Our software allows you to analyze key touchpoints from every angle of the sales process. And if that's not enough to satisfy your business management needs. 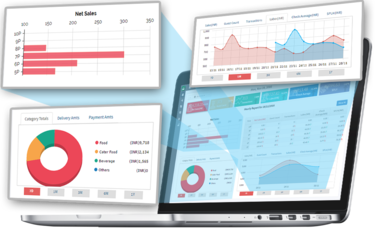 No matter your industry, Zip POS Dashboard seamlessly integrates into any business plan. Our all-in-one software simplifies daily processes so you can focus more on retaining current customers, and gaining new ones. You no longer need to translate complex data into usable insights. Our platform converts POS data into easy to understand insights that help you grow your business and optimize its chances of success. Whether you're on a tablet or a mobile device, our software transforms your data on every platform. Analyze POS data at home or at work—you get access to every feature regardless of your location. Customize your data visuals so no number is overlooked. Your POS data is intricately organized according to your viewing preferences so you spend less time understanding and more time evaluating. Our foolproof network protects your data from unauthorized personnel and ensures confidential information stays confidential. Rest easy knowing your data is safe, secure and only accessible to the people you trust. Our POS reports are not just limited to your desktop computer. Download our free app and track progress while you're on-the-go. Our interface was made for easy interaction, allowing you to manage your POS data at the click of a button.